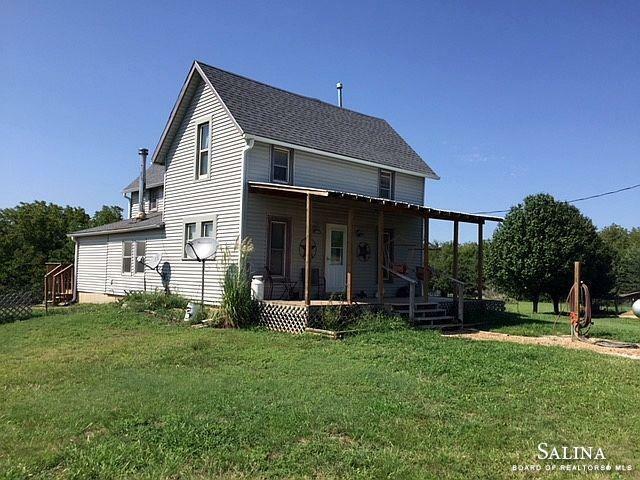 Country living on 7.5 acres +/- just off blacktop roads! Walkout basement, vinyl siding and windows. The home as central HVAC and a wood stove for supplemental heat. Don't miss the main floor bathroom with Jacuzzi tub. The property is set up and ready for a couple horses or livestock with some fencing in place. 48' x 40' storage shed with electricity and stalls. Workshop area in walk-out basement could be finished for additional living space. Square foot per county & room measurements are approximate.